The evacuation of Dunkirk, also known by the British code name Operation Dynamo, occurred between May 26th and June 3rd 1940 from the harbor and beaches of Dunkirk, France. 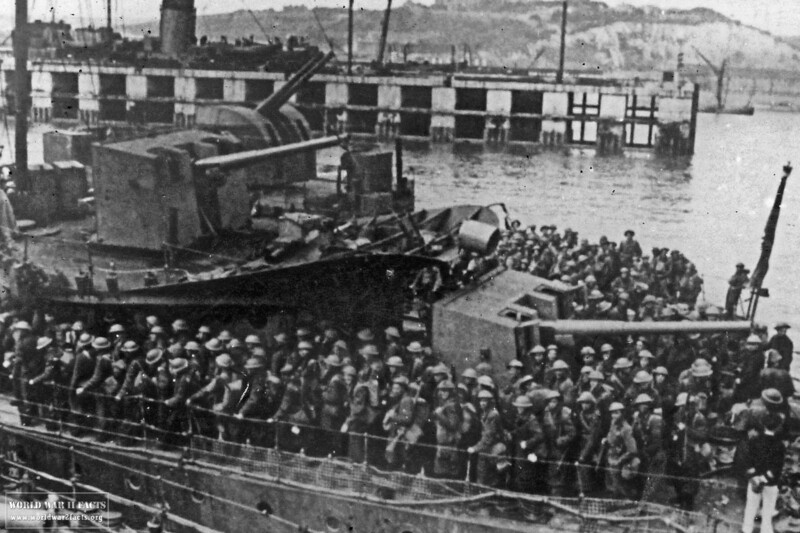 The evacuation removed Allied soldiers, primarily Belgian, French, and British, who had been cut off by the German army during the Battle of Dunkirk. The evacuation was ordered on May 26th and if not successful, would have signified a significant strategic defeat for the Allies. 1 How Did the Dunkirk Evacuation Unfold? How Did the Dunkirk Evacuation Unfold? 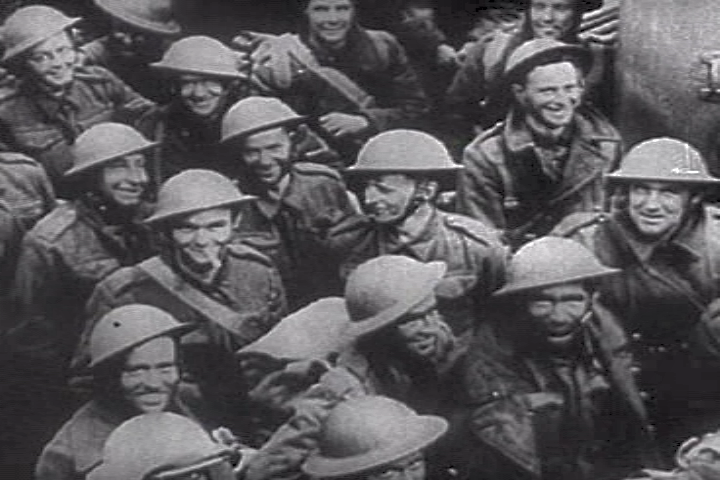 Rescued British troops gathered in a ship at Dunkirk. 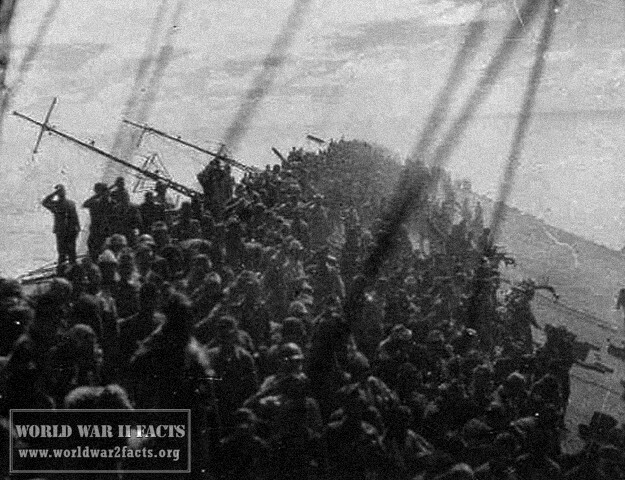 On the first day of the evacuation, there were only 7,011 soldiers evacuated. 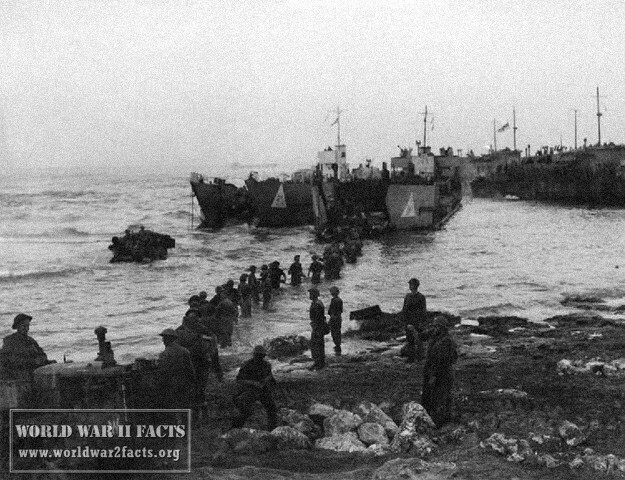 By the 9th day of the operation, there would be 338,226 soldiers evacuated by the 850 boats that took part in the operation. Most of the troops were able to embark from the protection of the harbor, while many others had to wade to the ships from the beaches. Further helping the Allies with the evacuation was the flotilla of approximately 700 merchant marine boats, pleasure craft, fishing boats, and other lifeboats from the Royal National Lifeboat Institution. The name of the operation came from the dynamo room in British Navy Headquarters located beneath Dover Castle. The operation was planned and briefed by Vice Admiral Bertram Ramsay to Winston Churchill. In order to keep the morale of the British nation up, the disaster around Dunkirk was not publicized to the general public. Despite the heavy war-time censorship, King George VI called for an unprecedented week of prayer along with the Archbishop of Canterbury which confirmed suspicions that the soldiers were in trouble. The initial planning at Dunkirk called for recovering 45,000 British Expeditionary Force members within two days. Planning determined the Germans would be in position to block further evacuations after this point. Only 25,000 soldiers were evacuated in the first 2 days. Then, on May 29th, 47,000 British soldiers were rescued in the midst of heavy aerial attack by the German Luftwaffe in the evening. On May 30th, another 54,000 British soldiers to include the first French evacuees were brought out of Dunkirk. On June 1st, another 64,000 were evacuated, with 60,000 French soldiers being evacuated on the night of June 2nd. The following evening another 26,000 French troops were rescued before the operation was concluded. The two French divisions left behind to be the rear guard surrendered to the Germans on June 3rd, 1940. 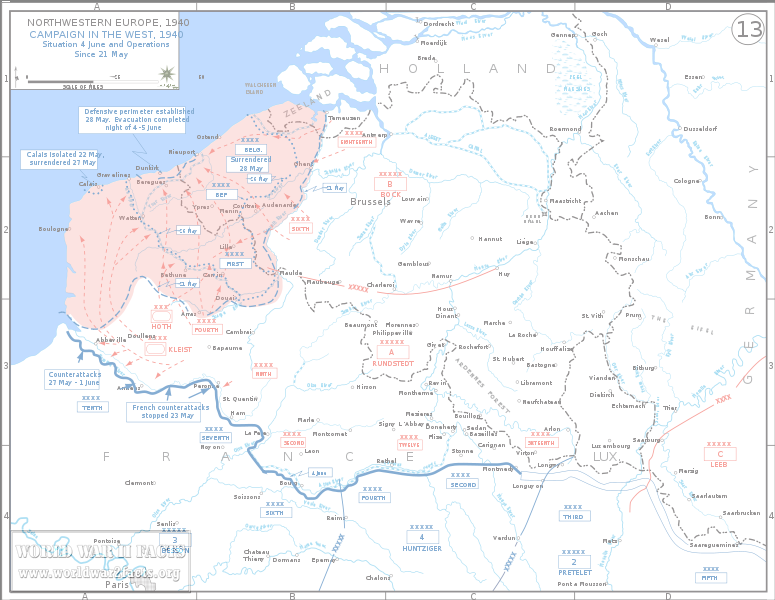 Map of the Battle of Dunkirk just prior to the evacuation. Despite the overall success of evacuating the troops, all of their vehicles and heavy equipment had to be abandoned during the retreat. There were also several thousand French soldiers captured in the Dunkirk pocket and a total of six UK and three French destroyers sunk during the operation along with nine large boats. 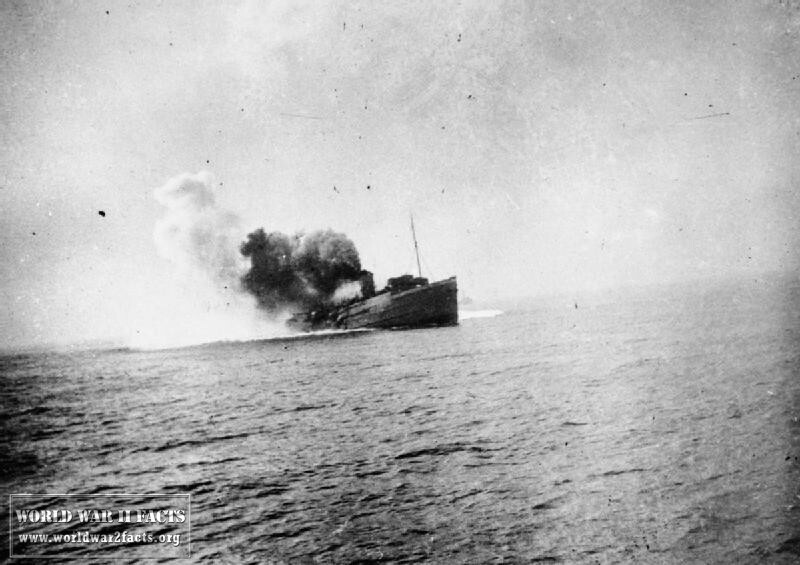 Additionally, 19 destroyers were damaged and more than 200 of the Allied sea craft were sunk with just as many damaged. The RAF flew a total of 4,822 sorties over Dunkirk losing approximately 100 aircraft compared to 240 for the Germans. The Allied forces were also very fortunate that inclement weather precluded the Luftwaffe from flying during much of the evacuation time frame of the evacuation preventing additional loss of life. During the evacuation at Dunkirk, there were a number of naval losses on the part of the British and the French. These included three French destroyers, six British destroyers, and nine other major ships or vessels. In addition to the ships lost, there were 19 destroyers damaged with more than 200 Allied and British sea craft being sunk with a similar number damaged. The Isle of Man steam ferry SS Mona's Queen sinking after striking a mine off Dunkirk, 29 May 1940. And the Havant, Keith, and Basilisk that were sunk via air attack on June 1st. And Le Foudroyant that was sunk via air attack on June 1st. 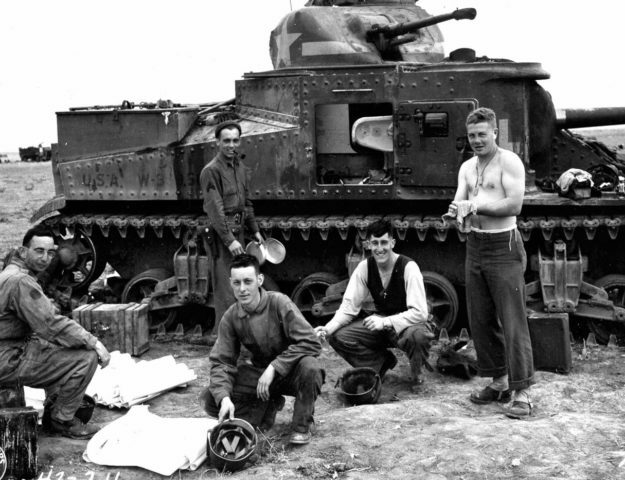 The rescue of the British and other Allied troops from Dunkirk would provide a huge psychological boost to the British morale, even though it was an evacuation! The majority of the British Army had been rescued and could now be assigned to the defense of Britain until the threat of invasion receded. A key strategic and tactical error on the German land forces part was to halt their advance in favor of bombardment by the Luftwaffe. General Field Marshall Gerd von Rundstedt, the Chief of the General Staff of Germany ordered the Halt with a validation from Hitler several hours later. This lull would result in the failure of the German High Command to order a timely assault on Dunkirk to eliminate the British Expeditionary Force. "The Association of Dunkirk Little Ships". The Association of Dunkirk Little Ships. 2010. Last accessed 16 November 2013. BBC Archive – Dunkirk Evacuation, last accessed 16 November 2013. Churchill, Winston (2003). "Wars are not won by evacuations, 4 June 1940, House of Commons". In Churchill, Winston S.. Never Give In! : The Best of Winston Churchill's Speeches. New York: Hyperion. Looseley, Rhiannon (2005). "Le Paradis apres l'Enfer: the French Soldiers Evacuated from Dunkirk in 1940" (MA dissertation (History), University of Reading). Franco-British Council. 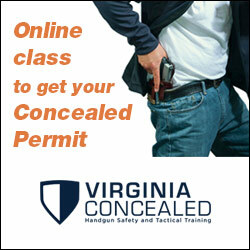 Last accessed 17 November 2013. Nazis invade France Video analysis on WW2History.com, last accessed 16 November 2013. Official website of Dunkirk memorial and museum, last accessed 17 November 2013.